There are some basics in my wardrobe that make an appearance every week but that never get the praise they deserve! So this post I'm celebrating my unsung heroes.......my Merino sweaters! I have a few classic styles that come out year after year. They wash and wear well and have become one of my most used wardrobe staples! 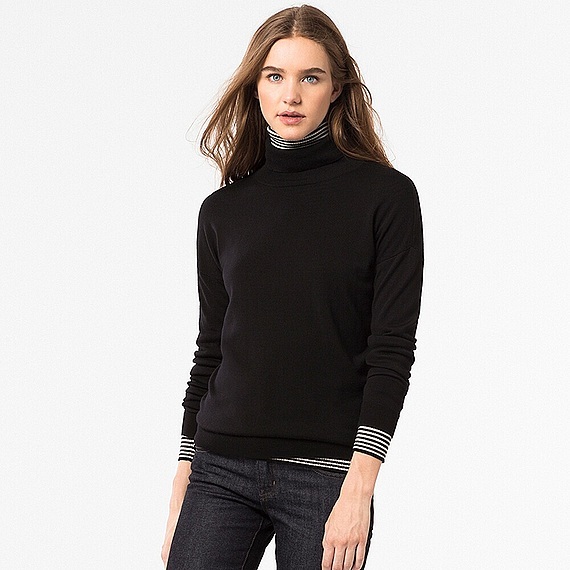 First up is the Uniqlo polo neck which is on offer at the moment so now is the time to buy! There aren't the full range of sizes in each colour.....but it's worth me saying here that the last two Uniqlo sweaters I have bought I've sized up and gone for a large for a more slouchier feel as I find they run quite small. I love the way that Uniqlo have layered this one over the stripes....an idea I may have steal although I've trawled their website and I fear these stripes have already sold out! Uniqlo extra fine Merino polo neck Back in October I bought a Uniqlo navy extra fine merino v neck sweater, this is the other one I bought in a size large. This looks great on it's own or with a shirt underneath. Last year I stocked up on a couple of extra fine merino sweaters one v-neck and one crew. I stuck with neutral dark grey and black. This year I've found these to be a fab extra layer under looser-style pullovers. 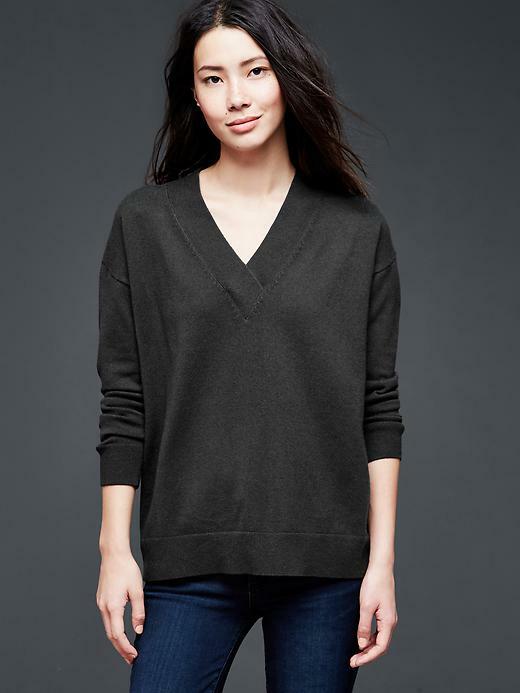 A couple of years back I purchased a Gap black v-neck merino jumper that was a longer, looser style. This has been a real gem......I find the slightly deeper v neck is the most flattering style on me. These are greatly reduced, down to £9.99 with most sizes still available in black, not much left in the navy version though. The black version jumper has been perfect for wearing under my Dorothy Perkins pinafore as it's a bit more fitted than all of the above. My outfits from the past few days......Monday saw me sporting my new Banana Republic sweater! I must say that I love it! Zara coatigan, sold out but how lovely is this one! 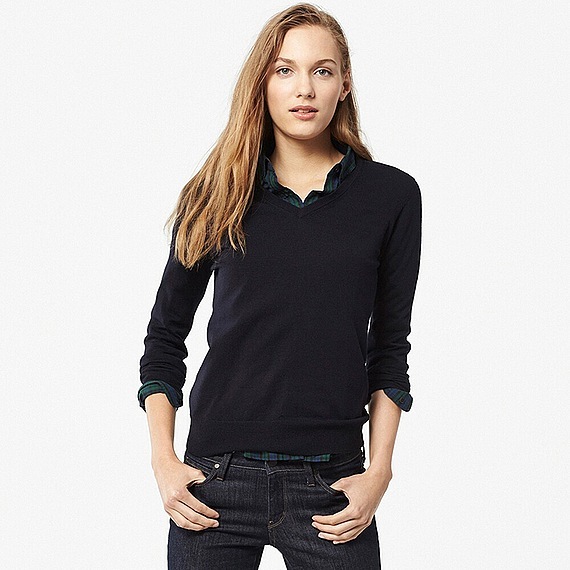 What winter basics do have in your wardrobe that come out time and time again? The thing that struck me whilst checking over this post is how much I wear my jeans too, so next week I'm going to looking at some new skinnies as I think I may have a hole to be filled. I need to get researching a new pair! And yet again I moan about the fact that we don't have Uniqlo in Ireland *sob* Liking the look of that Gap sweater though, so may have to track that down! You can't beat knitwear as a wardrobe staple for this time of year can you Michelle, I'd be lost without mine. Brilliant post Michelle. At the end of the day, I bet there are a lot of us reaching for the core basics to put under our statement coats. I can't live without my grey and black cashmere jumpers and I have more of those than I care to admit. 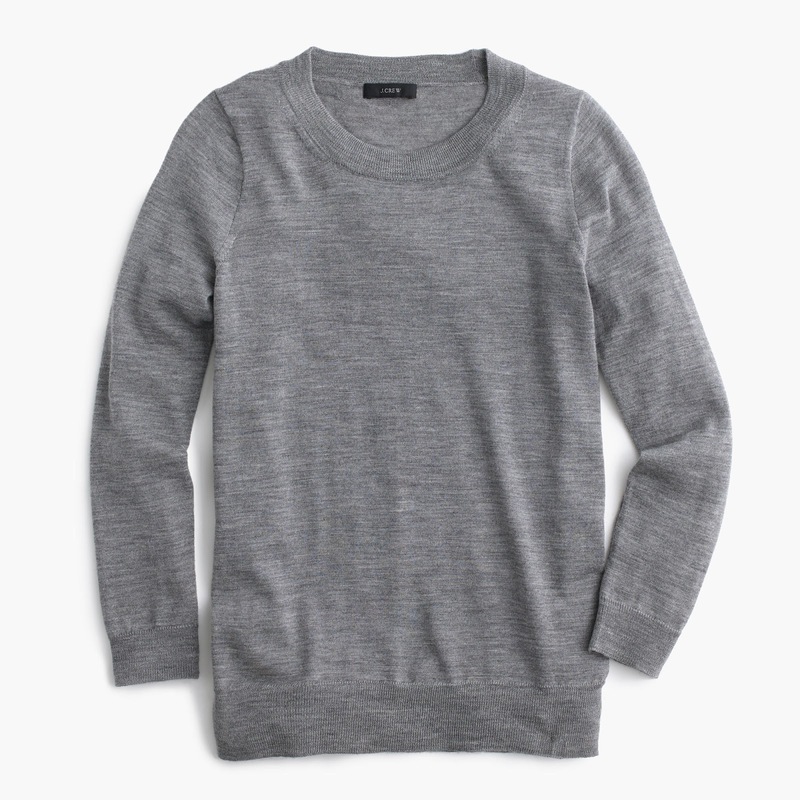 Are the Gap v-necks really dry clean only? Or have you dared to machine wash yours? Such a great price (and annoyed that I missed the free delivery code they had yesterday! ).